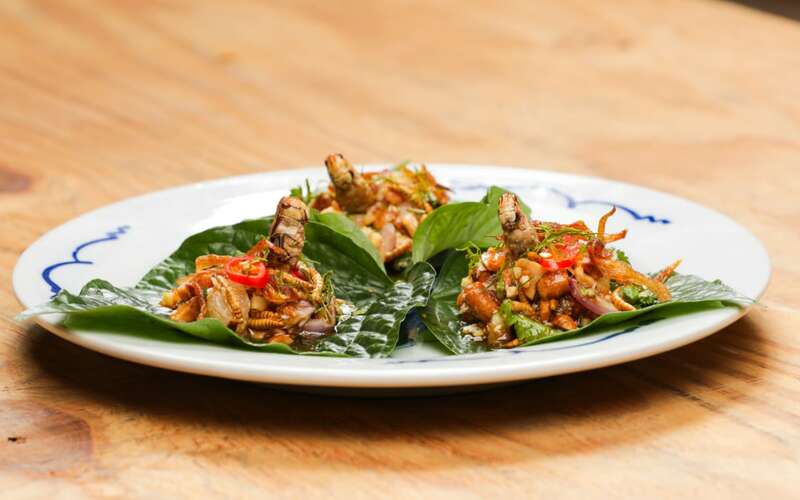 You can now order insect dishes on Deliveroo - so what&apos;s on the menu? Bored of eating pizzas and burgers? Take-away service Deliveroo is branching out into the world of entomophagy – the practice of using insects in food – to give adventurous eaters an exciting new dinner option. 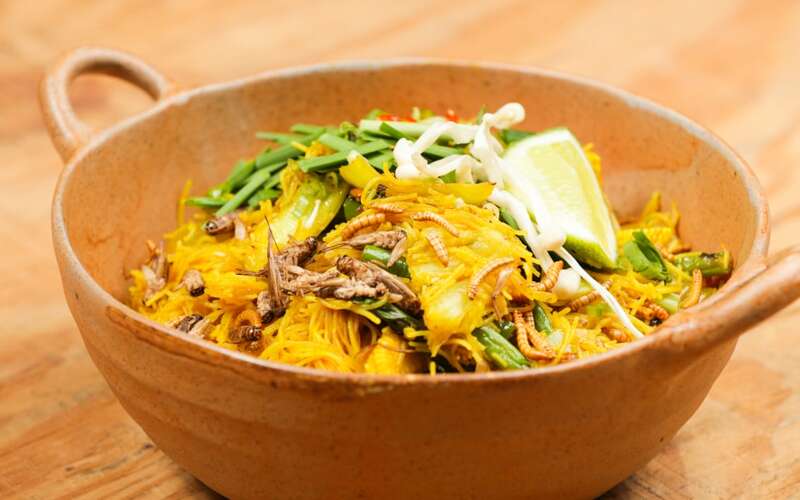 Next week, anyone using the app around Shoredtich, London can order spicy cricket rice cakes, salted cricket and smoked tomato salad, or buffalo worms wrapped in a betel leaf, with each dish featuring on a new menu created by the take-away service in collaboration with Eat Grub, a company that sources and sells edible insects. The five-day edible insect pop-up restaurant will allow forward-thinking foodies to take part in the growing practice of entomophagy, Deliveroo said. If successful, the pop-up could be rolled out on the app nationwide. The full menu features main courses including soy crickets and pandanus leaf (crickets lightly fried in fragrant oil with pandanus leaf, kaffir lime leaf, soy and white peppercorns); insect miang (toasted coconut, ginger, lime, peanuts, pomelo, chilli, coriander, Thai shallots and buffalo worms wrapped in a betel leaf and topped with a grasshopper); and salted cricket and smoked tomato Som Tam salad. There will also be a dessert option – the insect "chimp stick" – which is made from palm sugar and tamarind caramel with crickets, buffalo worms, mealworms, mint, lemongrass, peanuts, kaffir lime leaves and toasted coconut. Eat Grub was launched by founders Shami Radia and Neil Whippey in 2014 after discovering entomophagy while abroad. In many countries, such as Thailand, it is standard practice to eat insects as a sustainable answer to the world's growing population and the consequent pressures on the farming industry. While initially seen as gimmicky, the company's concept is becoming more popular as people begin to adopt more "flexitarian", vegetarian and vegan diets because of environmental concerns. An Oxford University study, published in the journal Climatic Change, found that meat eaters are responsible for almost twice as many dietary greenhouse-gas emissions per day as vegetarians, and about two and a half times as many as vegans. The nutritional benefits of eating insects are as important to consider as the environmental ones. The protein count of many insects is known to be a significantly higher than that of beef. For example, 100g of chopped steak brings approximately 20g of protein, and you can get this exact amount of protein in a 60g cricket steak. Joe Groves of Deliveroo said: “We’ve seen growing interest around entomophagy, so we wanted to get ahead and explore this idea with our customers."